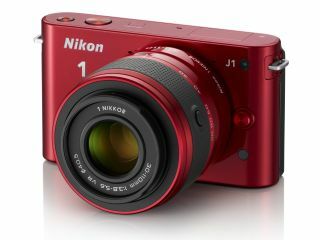 Nikon J1: a CSC that's bringing more people into photography? Canon has said that it thinks compact system cameras are a good thing, even though it is currently not producing any of its own mirrorless models. David Parry from Canon UK told TechRadar, "I think they [CSCs] are a great idea." Canon is one of the only camera manufacturers without a mirrorless camera on the market, with its biggest rival Nikon launching its attempt back in September 2011 with the Nikon V1 and J1. Compact system cameras first appeared in 2008 with the Micro Four Thirds format introduced by Panasonic and Olympus. Currently, there are CSCs available from Nikon, Pentax, Fujifilm, Samsung, Sony, Olympus and Panasonic. Despite all the rivals, Parry still thinks they are a good thing for the overall market, "What I like about them so much is that it's brought more people into photography and the more people shooting, the better, as far an imaging company is concerned - that's what we're all about." Parry believes that CSC users will eventually be on the look out for something more, and it is this market the company is keen to tap into. "They may not be buying our products at the moment, but if they reach the limits of what a compact system camera can do, maybe they'll look at other products that are out there." With some CSC manufacturers also producing DSLRs, notably Sony and Nikon, surely it's inevitable that those trading up will show brand loyalty? "They might well do, but you have to remember we've got cameras like the 7D and the 5D Mark II in our range. Those are very strong cameras that are renowned for their image quality,"
Parry also thinks that the company's new premium compact camera, the G1 X, released in January, could be a potential rival for CSCs. "It's a similar kind of price to compact system cameras with a similar size sensor inside them, and once they've purchased that they might look at our DSLRs." Speaking of DSLRs, Parry told us that this area is still seeing growth. "Obviously, people were expecting to see CSCs having an effect on DSLR sales, but actually they're still growing," he said. "This is the benefit of people bringing new cameras, like compact system cameras, into the market. OK, we're not playing in it, but people are being brought in and taking an interest in the market." "When they see ranges like ours, with the amount of lenses you can buy and the accessories and training that's available, people see that as a real bonus." Rumours will surely continue to circulate about if and when Canon will enter the market, and we'll of course keep you updated should any new cameras finally be revealed.